Why Do MP’s Not Sign Early Day Motions? Posted 30th July 2018 & filed under News. The latest briefing paper on the Mineworkers’ Pension Scheme placed in the House of Commons Library 25 July 2018 is worth a read (click here). The paper covers the issues raised by mining MP’s who were members of the NUM at the time and those that continue to help. It also acknowledges and references the work of Les Moore’s ‘Mineworkers Pension Scheme for Justice and fair play Association’ and that the campaign is calling for a review of the 50/50 sharing of surpluses to be changed to reflect: a more realistic percentage which reflects the guarantors’ risk and recover all monies that rightly belong to the mineworkers of the UK. It should be pointed out here that although there are those who feel that an MP’s Early Day Motion (EDM) is a waste of time the fact that a well worded EDM in support of miners’ pensions is not shown as supported by all Labour MP’s does not help our cause and we urge all MP’s to support the case for a review and support EDM’s that reflect that. When Is An Increase Not An Increase? Posted 25th July 2018 & filed under News. Correct me if I am wrong but most MPS pensioners over 65 won’t know exactly what separate headings constitute their pension let alone what each figure is and how it is worked out. So, when they are informed that the “Guaranteed pension (excluding GMP) is the heading that actually gets the 4.2% rise they are not much wiser. They are then informed that there is a Pre and Post 1988 GMP along with “Reducing bonus” and “Level bonuses granted from 2012 to 2017” you would forgive them from getting a little confused but now there is another element “New level bonus granted in 2018”. So after “good investment returns” and a “large surplus” MPS beneficiaries would be expecting to at least hold on to the same shopping basket this year as they did last year? Click this MPS logo to see the latest information from the MPS Meeting with the Membership Support Network. The example given for a pensioner over 65 shows that the pensioner is going to have to take something out of the shopping bag this year. The example shows a pensioner on £84 will see the pension rise to £86.08 but with inflation at 3.4% to stay level they would need £86.86 so something must go out of the basket and if they pay tax then they will have to do without something else. The cynical among us will say that during the six years that the “New level bonus granted in 2018” has to run – how many thousands will die and receive very little of the “large surplus”? It also remains unanswered as to what would happen if there is another surplus in 3 years? How would that effect the 6 years roll out of this surplus? They talk in Parliament about their “gold plated pensions” at the same time as they take another £475 m of miners’ pensions money. With Government coffers being topped up again with pensioners money there is a clear need to look again at whether MPS beneficiaries are getting value for money. Posted 6th July 2018 & filed under News. 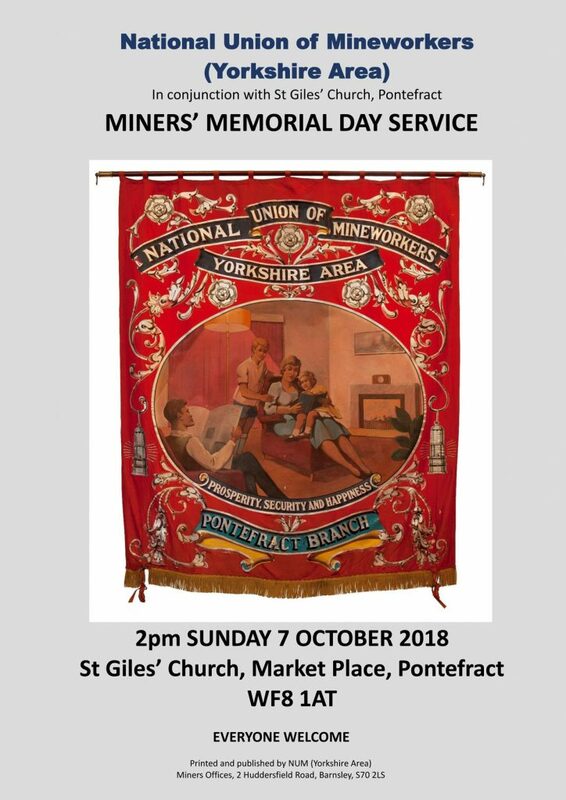 Miners who are not able to work due to ill-health say they are not to blame for the closure of mines and yet with the closures they are no longer able to apply for an early pension due to ill-health that is unreduced, and this is a cause for concern. The issue has been raised at the NUM Yorkshire Area Council meetings and passed on to the NUM National Executive Meetings. The NUM members who are trustees on the IWMPS have raised this issue with the MPS who have been asked to look at this issue. The NUM say that miners are still being hit hard, losing their job, losing their health and losing their pension. The NUM is still alive and kicking and will push for justice on this and many other issues. Posted 29th June 2018 & filed under News. Attendees: Gloria De Piero MP, Nick Smith MP, Stephanie Peacock MP, Dan Jarvis MP, Ian Lavery MP, Chris Cheetham, Paul Trickett, Bobby Clelland (Elected Trustee), Dan Whincup, Andy Gibbons, Holly Nelson (Coal Pension Trustees [C.P.T.]. Nicky Wilson, Wayne Thomas, Chris Kitchen, Alan Spencer, David Hamilton (NUM) Rob Skelton (First Actuarial). Apologies: Grahame Morris MP, Chris Elmore MP, Yvette Cooper MP, Dennis Skinner MP. The meeting convened by Gloria De Piero MP was held, 26 June 2018, in meeting room 4A in the House of Lords and was a joint meeting between the Labour Group of supporting MP’s, the NUM (with Actuarial advisor) and the Trustees of the MPS (with CPT advisors). The purpose of the meeting was to present the NUM commissioned report previously discussed with the Labour MP’s group to the MPS Trustees and their advisors. The aim is to find common ground that will enable a joint approach to Government for a review of the current surplus sharing arrangement with a view to improving benefits to Scheme Beneficiaries. Following discussing the NUM commissioned Report it was agreed that the co-author of the report present at the meeting would hold further meetings with CPT to explain the assumptions used in the report and gain a better insight into the assumptions used by the MPS actuary in the tri-annual valuation and scheme rules. It was agreed that this meeting would take place within the next couple of weeks. The MPS Trustees present informed the meeting that they had approached the Department for Business, Energy and Industrial Strategy (BEIS) and discussions had taken place in respect of possible improvements to Scheme benefits. The improvements the Scheme Trustees were seeking centred around guaranteeing the bonus payments currently in payment. While this would be a step in the right direction it was felt on the basis of the NUM commissioned report from other parties present that a more substantial ask should be made than that of just guaranteeing the current bonuses in payment. Although discussions had been started with BEIS no conclusion was reached and the Trustees had decided to suspend talks to concentrate on the tri-annual valuation the results of which should be known in the next few weeks. Once the valuation results are known it is the Trustees intention to restart the discussions with BEIS. While any improvement to Scheme benefits is welcome the NUM’s view remains on the basis of the report that the focus of the review and future benefit improvements should not be based on what is fair between the Government and the Scheme for how future surpluses should be split but what is in the best interests of Scheme members. The focus of future discussions should be on what is a fair price and value for money for the Scheme beneficiaries for the Government in return for the guarantee, a guarantee that so far has not required the government to put in a single penny of new money into the scheme but enabled it to benefit by taking £billions out, not a bad return for taking on such a low level of risk. 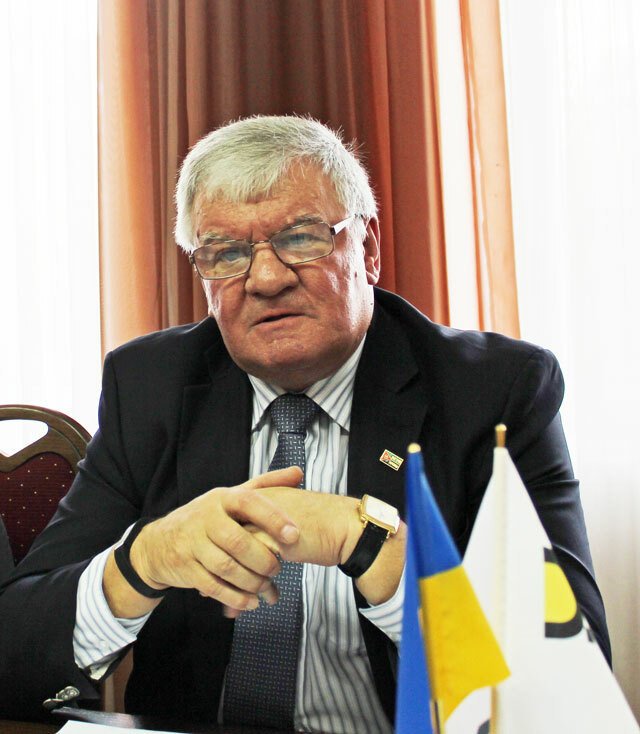 It was clear from the meeting that there is still a significant amount of work to do in order to reach an agreed position that would enable the parties to present a united front to Government. The ask of government should be to improve benefits for Scheme members in the short term as it is now that they need the money while recognising that the government will always be there and can wait for it. That the government receives what is a fair payment based on the level of risk it has taken on by providing the guarantee which on the basis of the report should be far less than the current 50%. The long running campaign to have the debilitating Dupuytren’s Contracture industrial disease recognised reached an important milestone this week with a senior government minister promising to unblock the process. Dupuytren’s Contracture is the first industrial disease since 1947 not to be brought on to the statute books following an IIAC recommendation. 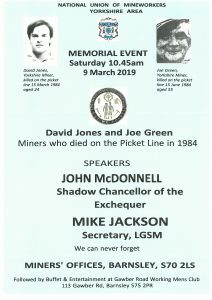 The NUM and Durham Miners’ Association (DMA) have been campaigning since 2014 for the government to accept the IIAC recommendation and allow this disease to be prescribed as an Industrial Disease thus allowing miners who suffer from the condition to make a claim for benefit. The Industrial Injuries Advisory Council (IACC) is the independent body that recommends which industrial diseases be added to an official list. Minister of State for Disabled People, Health and Work Sarah Newton MP met with County Durham MP’s and Durham Miners’ Association representatives to try to find a solution to the delay. Sarah Newton MP promised that Chief Medical Officer, Professor Gina Radford, would review the evidence and report back within the next few months. 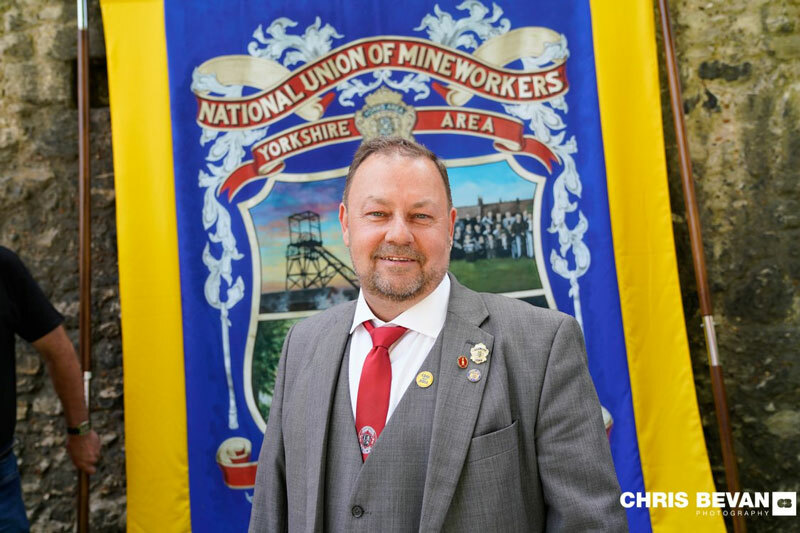 Alan Cummings, NUM NEC Member and DMA secretary, said: “It is a disgrace that miners, and other workers, have had to wait so long for this matter to be resolved. We now think there may be some light at the end of the tunnel. Extract from Minutes of the IIAC Meeting – 11 January 20184. 4.1 IIAC published its command paper on Dupuytren’s contracture on 8 May 2014. 4.2 Sarah Newton MP, Minister for Minister for Disabled People, Health and Work, wrote to IIAC via the Chair on 30 November 2017, advising the Council the Department would not be proceeding with its recommendation to add Dupuytren’s contracture to the list of prescribed diseases. 4.3 It was noted that this is only the second time in at least 30 years that a recommendation from the Council has been turned down. Concern was raised that Minister may not have had the full breadth of information and evidence available on this topic. 4.4 In the letter, reference was made to Dupuytren’s often being mild and not requiring treatment. This was countered by a member who, through direct experience, made the case that the condition is often serious and can have a negative impact on patient’s lives and functioning. Research reports were also identified that cited quite high complication rates if surgery is needed. It was felt that the Command paper published back in 2014 (Cm 8860, Dupuytren’s contracture due to hand-transmitted vibration: IIAC report) did not emphasise this aspect enough. 4.5 The letter also stated that the Department considered priority should be given to diseases which are more severe in their effects. A member noted that this decision marked a considerable change in policy from the government, although a DWP official said that there was no explicit intention to alter policy. It was noted that several other conditions which are less disabling in nature are scheduled within the Scheme and, moreover, that the legislative framework provides for aggregation of conditions. The decision by the Minister thus appeared at variance with a basic provision of the Scheme and previous practice and precedent, raising questions about policy intent, consistency and the equal treatment of claimants and potential claimants. 4.6 A member considered that the decision might be challenged under the Equality Act. Another thought that it would raise criticism and challenge in the House. 4.7 The letter from the Minister offered the opportunity to meet with the Chair to discuss the matter. It was decided that this meeting should take place as soon as convenient and ahead of Council correspondence. Two members with relevant expertise agreed to accompany the Chair to the meeting. Posted 27th June 2018 & filed under News. Posted 26th June 2018 & filed under News. How many miners have worked in tunnels where solid rock has been shot fired with clouds of dust so dense that you can’t see your hands in front of your face and how many miners have breathed in the dust as the ventilation forced it outbye? glass manufacture, sandstone tunnelling and quarrying, the pottery industry, metal ore mining, slate quarrying and production, clay mining, use of siliceous materials as abrasives, foundry work, granite tunnelling and quarrying, stone cutting and masonry. At the meeting the NUM questioned whether the exposure conditions for PD D11 (b), “tunnelling in, or quarrying sandstone or granite “could apply to work as a coalminer; and if not, whether the prescription should be amended to enable such coverage. This was prompted by a case in which a coalminer with lung cancer and silicosis was initially refused benefit for PD D1 (pneumoconiosis), a position reversed upon appeal when it was successfully argued that coal mining was a form of “tunnelling” that could be through hard rock. IIAC has now said that it would expect that, since it has long been recognised that exposure to silica dust and cases of silicosis can arise in coal mining involving cutting of sandstone strata, usually by tunnelling or drilling. The Council recommendation will now be referred to the Minister and it is expected that the legislation will be revised to incorporate the IIAC view that a prima facie case exists for recognising PD D11 in a coalminer with primary lung cancer if (i) a diagnosis of silicosis can be sustained, and if (ii) it can be shown that their work has involved “tunnelling in, or quarrying sandstone or granite”. We shall notify you on these pages when the relevant change occurs so that former coal miners suffering from these diseases can take advantage of these significant changes to the law. Posted 20th June 2018 & filed under News. Responding to issues raised by A. Matthewson, H. Parfitt, M. Thomson and S. Jones relating to the status of the National Union of Mineworkers the Certification Officer (CO) has declared that she is satisfied that the NUM and most NUM areas continue to meet the statutory definition of a trade union. The CO has taken the preliminary view that NUM (North East) Area and NUM (Scotland) Area no longer fall within that definition and accordingly it is likely that these areas will be removed from the schedule of trade unions. Regarding the position of Scotland and North East Areas he said “It is a pity that due to the actions of certain individuals these areas will no longer be recognised as independent trade unions. However, Scotland and the North East will continue as administrative areas of the National Union of Mineworkers and I want to assure all members and former members in those areas that this union will continue to represent them and their families as we have always done”. Posted 14th June 2018 & filed under News. The NUM is pleased to report that it has been able to assist a severely disabled young woman and her family establish entitlement to mobility payments from the Department for Work and Pensions. Hayley suffered catastrophic injuries as a child when she was severely injured in a road traffic accident. Throughout her life she has been cared for by her family who relied on benefits they received from DWP. However, when they could no longer care for Hayley full time she was admitted to a care home and the Department stopped her mobility payments. Hayley’s father, an ex-miner and NUM member contacted the Union for assistance. He told us that Hayley relied on a specially adapted vehicle which he used to collect her and bring her to and from the home at weekends and for holidays so that Hayley could visit her family and friends. However he had to cancel an order for a replacement vehicle when the benefits were stopped. The NUM legal officer took up the case and was concerned to find that the family had been told that they did not even have a right of appeal against the decision. The Union insisted that an appeal should proceed and eventually was able to obtain the necessary evidence to overturn the decision. Hayley’s benefit has been reinstated and backdated so that the family can now afford the new vehicle and Hayley is once more able to enjoy the company of her friends and relatives. Hayley’s father thanked the NUM and said, “I don’t know how you did it but I would not have been able to get this result without the Union’s help”. Harry Eyre, NUM Legal Officer said” This was an appalling situation which should never have arisen. I am very pleased that the Union has been able to help the family in these circumstances”. Posted 7th June 2018 & filed under News. The NUM welcome the Ministerial Statement in the Scottish Parliament on the Impact of Policing on Communities during the Miners’ Strike. The statement by the Cabinet Secretary for Justice Michael Matheson announced that a robust, proportionate and fair independent review to be lead by John Scott QC. The statement can be read by clicking the flag. 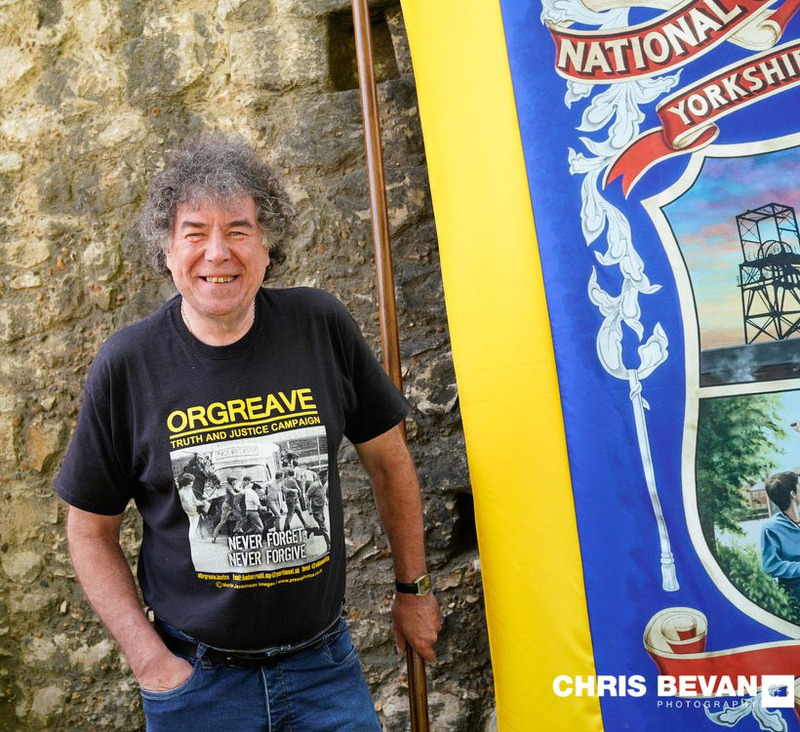 Come along and support the Annual Orgreave Rally organised by the Orgreave Truth and Justice Campaign, commemorating the 35th anniversary of the Miners’ Strike and the events at Orgreave. Please bring banners, placards, drums, whistles, family and friends. Let’s show the Government we will not be silenced, we won’t go away and our vibrant campaign for Truth and Justice goes from strength to strength. 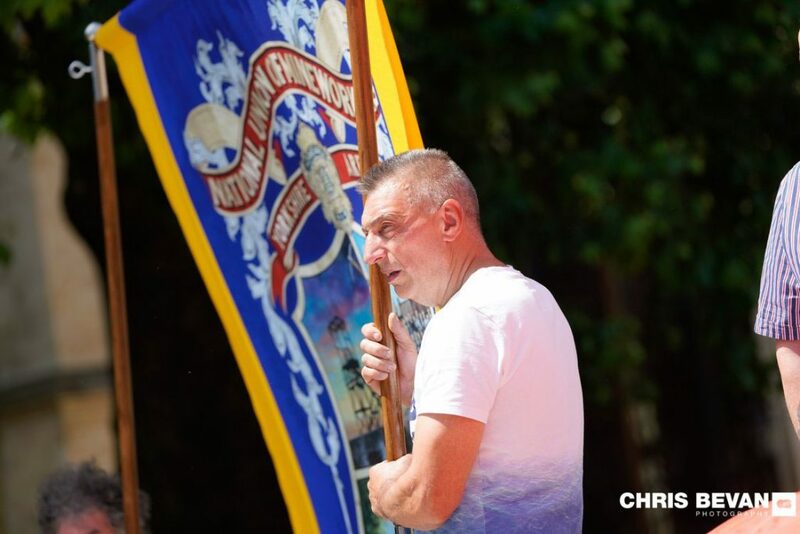 Orgreave Rally 2019 MINERS’ STRIKE 35th ANNIVERSARY ANNUAL ORGREAVE RALLY Orgreave Lane, Sheffield, S13 9NE Saturday 15th June 2019, 1.00pm..
What have they got to hide? Orgreave Truth and Justice Campaign Media Release Sheffield Bishop’s efforts to set up Orgreave Independent Panel.. Thank you to Steph Peacock MP Barnsley East for securing today’s adjournment debate on the Mineworkers Pension Scheme and all the MP’s who.. It is with regret that I have to inform you of the death of Jack Taylor, former President of the NUM Yorkshire Area. Jack passed away on 28 December..
Will there be a General Election over Brexit?